See...filled with safety features! 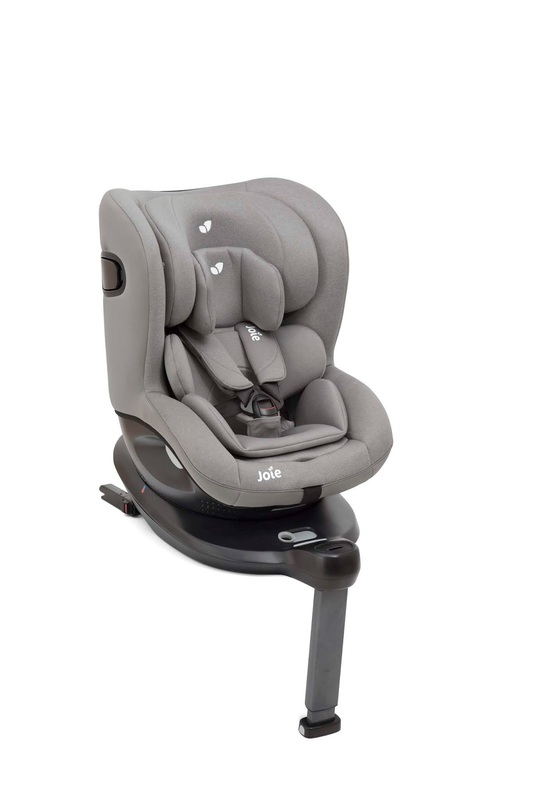 Because this car seat is installed using your cars ISOFIX, it also means that the seat is super easy to install. When ours was delivered I was expecting to have to wait until Hubby got home to put it in so that he could look after the kids whilst I concentrated on fitting it but there was no need! The seat was so easy to install that I was able to do it by myself in about 2 minutes. The i-Spin 360 is not only unbelievably safe, it has also been made with convenience in mind and that is the other reason that I love it so much. 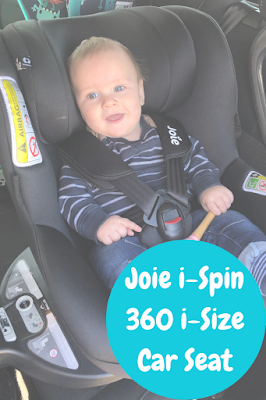 The car seat smoothly swivels 360 degrees meaning that there is no more bonking your child's head on the car as you try to juggle them into their car seat (I can't be the only one that has ever done that can I?!). Not only does it swivel, it has a switch on the front of it that you push across if your baby is 15 months or younger. This then locks the swivel feature meaning that you can't turn them forward facing. Once they get to over 15 months you can push the switch back again and the seat will swivel a full 360 again meaning you could seat them forward facing if you wanted. I think this is an amazing feature because I, for one, had no real clue about how long Smidge needed to be rear facing for. 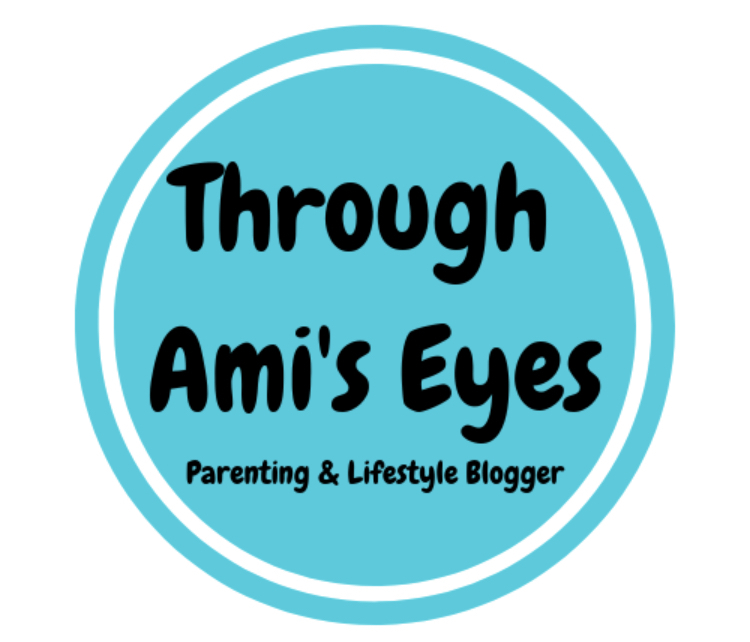 This handy switch is a fool proof way of making sure that not only is your baby in the safest possible position, but also that you are adhering to the new car seat rules. The practical features of this car seat continues. The cover is machine washable and comes off in one swift motion meaning that if you ever needed to pop it into the wash because of any accidents or snack explosions then it is easy and quick to whip off and to put back on again. The other thing I love about this car seat is that it comes with everything you need. You don't need to purchase a separate base or any attachments. The car seat is priced at £300 (correct at time of publishing March 2019) and for that £300 you get everything that you need for 4 years worth of car seat safety which to me is a pretty brilliant price! This car seat has really been designed with both parents and kids in mind. 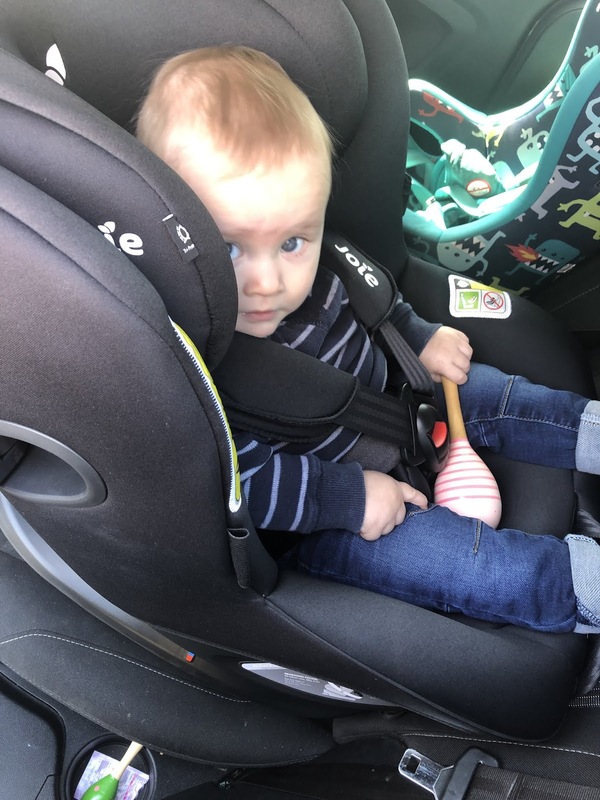 I love the safety features and the easy of use of the car seat where as Smidge thinks it's super comfortable and is so happy in it. We recently traveled to Bluestone in Wales which was about a 6 hours car journey and Smidge slept soundly and was extremely comfortable in this seat the whole time. If you are considering getting a new car seat then I would definitely recommend the i-Spin 360 i-Size from Joie as it is everything you will need! You can grab yourself one on the Joie website here!